So within this coming week, I have a wedding to attend. But unfortunately, two weeks ago I was out of station and there we were only permitted to pack bare minimalist things. Using a face pack was out of question over that place. With all the dust and sweating, I developed some acne and in short my skin turned bad and a lot of the textures got developed on the facial skin’s surface. 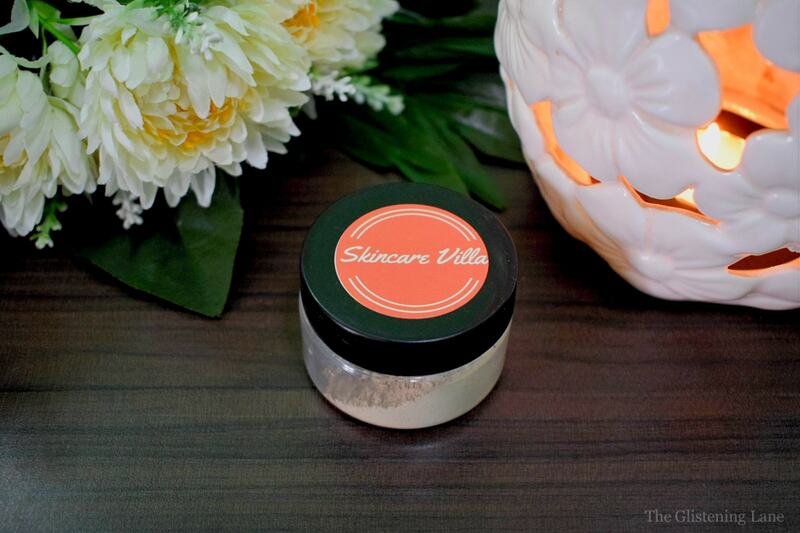 But thankfully, few days back I received Skincare Villa Shop products which I’ve tried and loved in the past as well. I was religiously then taking care of my skin to restore its original texture and evade all the acne. To my rescue, I unboxed my Skincare Villa Shop parcel and there was this Coffee Mud Mask in there. In case you guys don’t know, I love coffee but the fact remains that coffee causes pimples to me! Thus instead of sipping a warm cup of coffee, I have to suffice my coffee desire by hoarding coffee based skincare items. 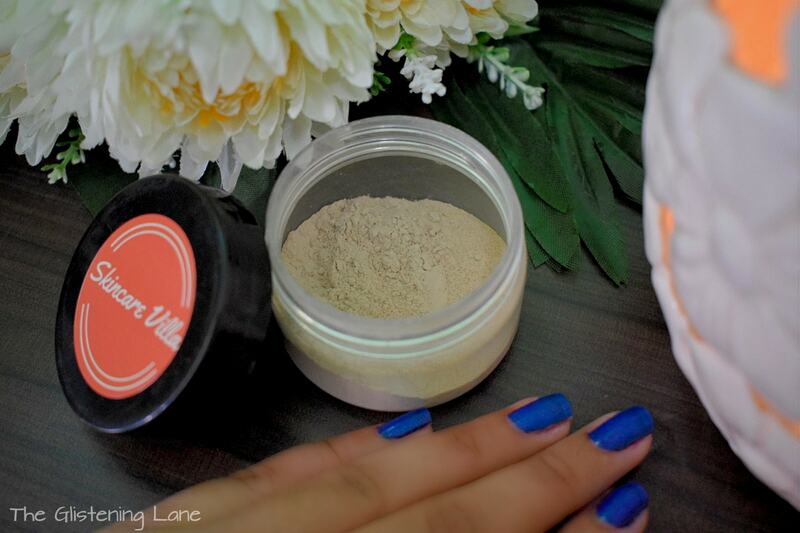 Also, mud masks are trending pretty much everywhere these days as they help in detoxifying the skin. 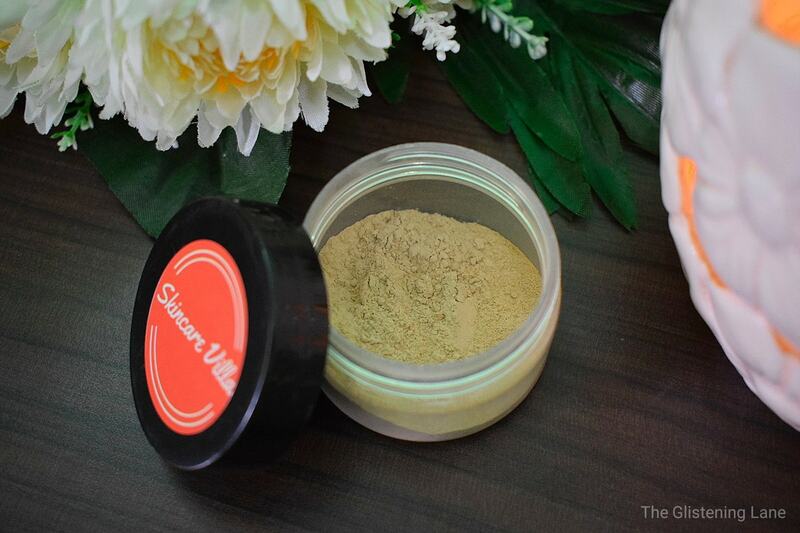 Some decades back, the only mud mask we Indians knew of was the Multani Mitti or Fuller’s Earth. But by that time, I was too young to be told of using it onto the face. Skincare Villa Shop is a brand which has been established by one of the Skincare Enthusiasts and Blogger Sonali Patel. 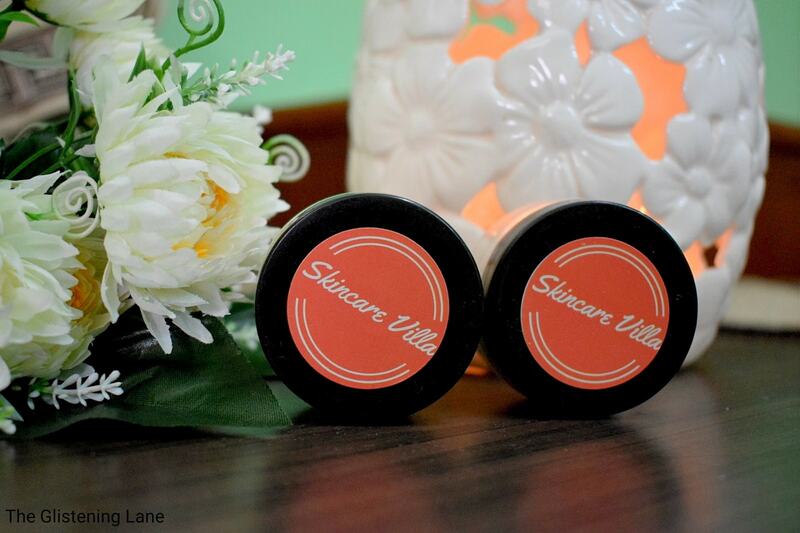 All her products are 100% Natural and freshly prepared in small batches. 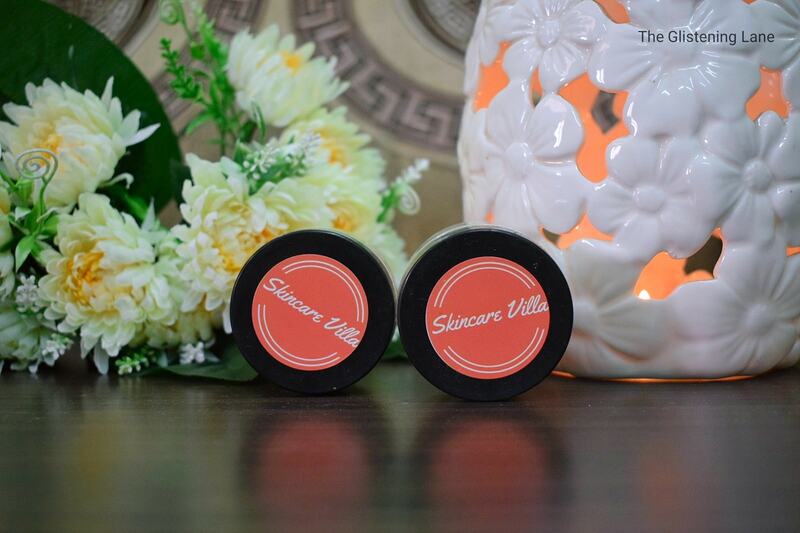 There are no preservatives incorporated within her products and thus what you apply onto your skin is sheer goodness! 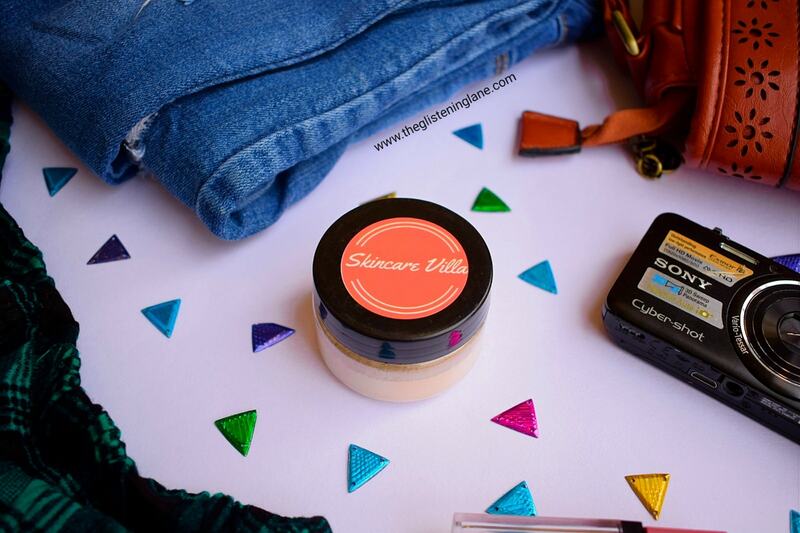 Also, her face masks and facial cleansers are moistly powdered base and you can easily customize them as per your skin’s need. 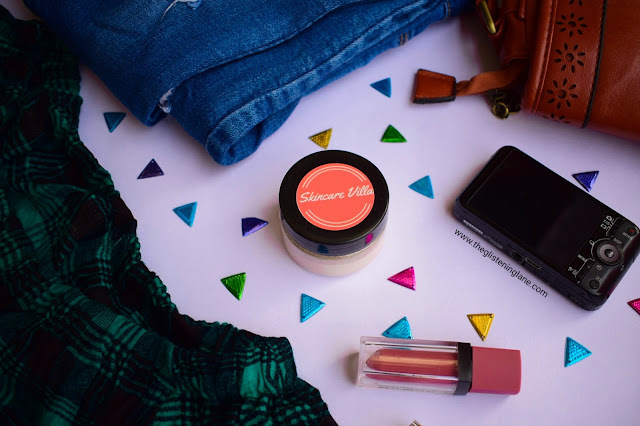 If there’s anything you want exclusive as per your skin’s concern, you can ask Sonali and she also customizes products according to your liking. 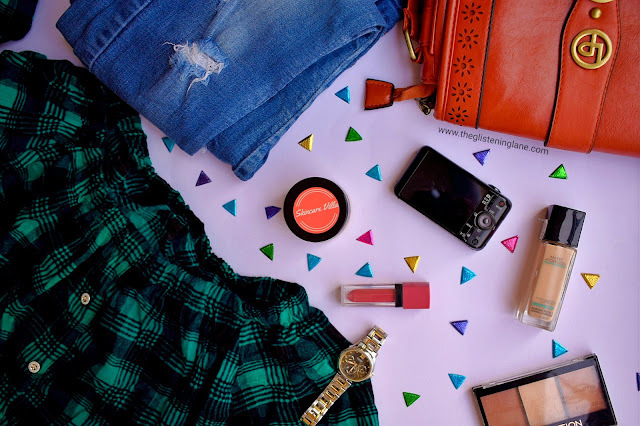 Lastly, she also has her own Blog wherein she shares amazing skincare tips, DIYs and reviews. Click here for her website. Apply a thin layer of face pack mixed with plain water. Let it dry naturally. Splash cold water and gradually remove face pack. Do not rub harshly. 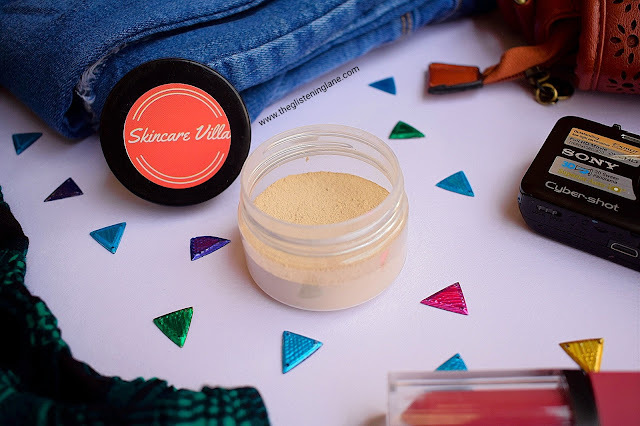 Skincare Villa Coffee Mud Mask comes is a plastic jar with a rotate open lid. The packaging is pretty much simple and travel friendly. Since there isn’t any liquid content inside, there won’t be a trouble of leaking jar while travelling. The lid also has the brand’s logo onto it. Water – Now usually when we add water to any face pack, chances are the results are going to be good if you have an oily skin but the same mask sometimes turn out drying for normal skin type people. In case your mask ends up giving you dry patches, try substituting water with other things that I’d state below. Rose Water – Rose water if considered an amazing source of soothing inflammation and it also caters slight moisturization. So mixing rose water instead of water would turn out miraculous for you if you have sensitive skin and in fact it is going to work well for every skin type. 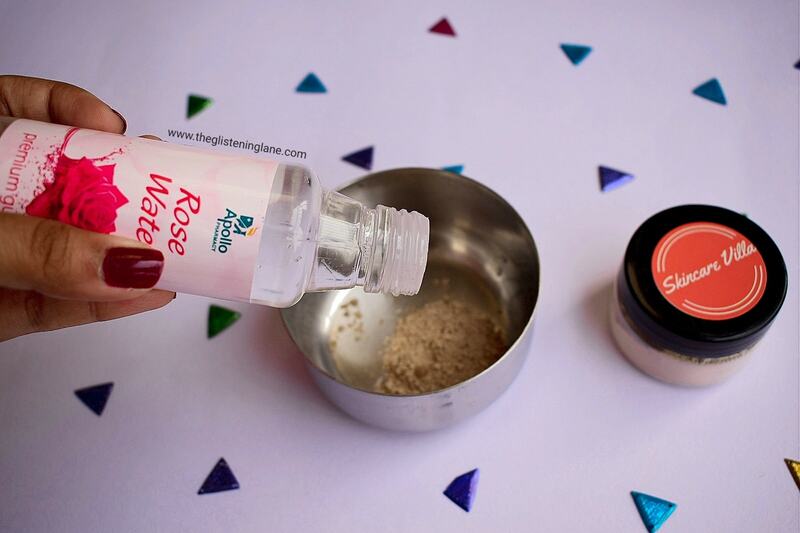 The benefit of rose water is it works as a toner & moisturizer on its own! 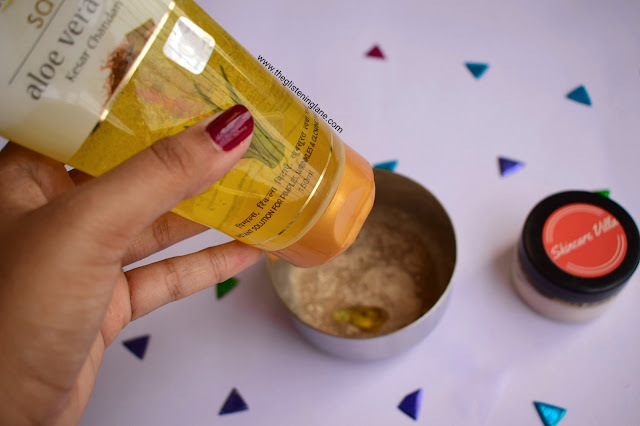 Aloe Vera Gel – Got bumps or combination skin with dry patches or merely feel the need of very subtle hydration post face mask, just put your desired amount of aloe vera gel into your face pack. If you wanna use natural aloe vera juice which is directly extracted from your plants, then don’t go out until that gel hasn’t been washed off. If you wanna use packaged aloe vera gel then it’s definitely convenient! Honey – Now if you acne prone skin or unclogged pores, you can add some honey into your face mask. It also works great for people with dry skin as honey helps to provide moisture to the skin. Honey also helps to calm down any kind of inflammation and redness, especially the one you get on emergence of acne. Lemon Juice – If you are someone like me with scars post acne attack, then do try to squeeze few drops of lemon into your face mask concoction. Lemon naturally helps in lightening the scars as it has wild bleaching properties. But be cautious of including only few drops and also to include another base liquid as well like water. In case you go with just your face pack and lemon, it would harm your skin rather than giving good results; so just be careful of not going over-board. So when I applied this mask onto my face, I immediately felt an amazingly refreshing feel onto my face. As I inhaled for air, I got a whiff of geeli mitti or wet mud. The colour of the mask too is kinda mix of mud brown plus coffee brown so it gives a very soothing brown colour and the mask spreads onto the skin quite easily. The organic coffee granules can be seen; they aren’t finely milled but I never got any inflammation from it onto my acne bumps. But make sure to wash it off gently and as the direction state – do not rub it off. I made my face mask concoction using Rose water and before that I used Skincare Villa Green Tea & Mint Cleanser for I’ve fallen in love with that too! But of course you can go ahead and use your favourite cleanser.